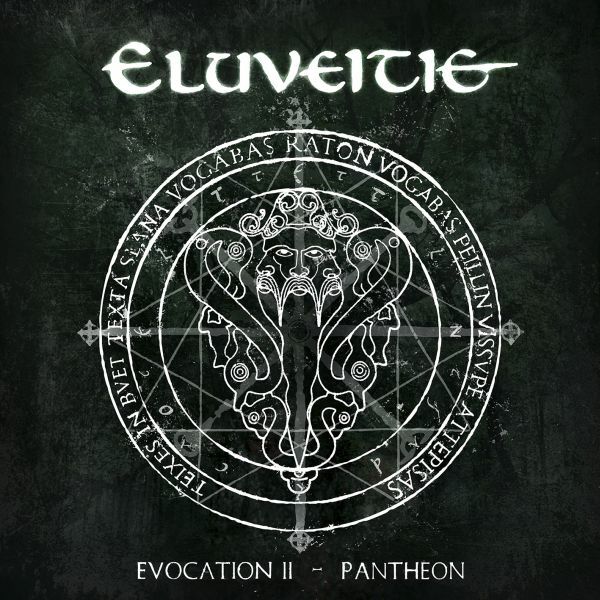 ELUVEITIE - EVOCATION II - PANTHEON (CD) | Online Shop | Wizard LTD. Album: "EVOCATION II - PANTHEON (CD)"
“Evocation II” takes you into the Gallic pantheon and bows down to the Celtic Gods after which the song titles are named! But not enough! Because of the authentic and serious way of working, the creation receives its last hone of magic. Therefore, the singing on »Evocation II« is also in Gallic (old Celtic) and offers great atmosphere. For the lyrics, ELUVEITIE have worked together with Celtic scientists from all over Europe to do justice to this masterpiece not only musically. The lyrics are also reproduced in ancient handwriting from 2000 years ago in the booklet. For example in the style of the Defixio from Larzac, a well-known magical, Celtic curse inscription. Dip into an unusual listening experience that merges in its concept and offers a unique project!